One Tuesday evening, about three years ago, my husband and I decided to try our hand at homemade pizza. We put together the ingredients and allowed our then-one-year-old daughter to choose her own toppings. 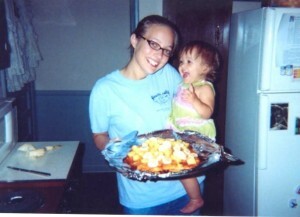 We ended up with an interesting mix of banana slices and Gerber fruit snack toppings (her favorite treats at the time). We proceeded to make a tent in the living room while the pizza baked, then we ate the pizza while watching a movie under the tent. I recall exclaiming, “This is so much fun! We should do this every Tuesday night!” Thus, Family Night in the Parks family was born. Through winter and summer, good weather and bad, we have continued the beloved Family Night activities. Some activities have been simple, such as playing board games in the living room, while others have been more involved, like going ice-skating or making ice-cream from scratch. Family Nights can be accomplished for little or no money. Finances don’t matter—the idea is that, no matter what we’re doing, and how busy our lives are, we still take the time to have fun together. 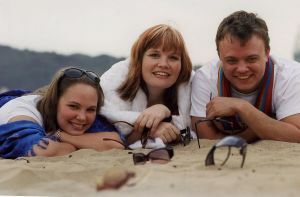 The following ideas are all activities that our family has done together multiple times and really enjoys. However, all families are different, so please use this list only as a guide for inspiration, then tailor the activities to suit the tastes of your own family. Campout. One of our all-time favorite family activities is the family campout. We spread blankets across the living room for our tent, and set up our sleeping area underneath. We’ll pull our coffee table to one end of the tent so we can keep snacks off the floor and within easy reach. We made tie-dye shirts that we now wear as our unofficial camping gear, and we usually end our night by watching a family movie together. Park hop. When the weather’s really nice, we’ll drive around to parks we don’t normally visit, like elementary school playgrounds, then play on the equipment with our kids. This is also a great opportunity for a picnic! Sports. Whether it’s tossing a ball back and forth, a full-fledged game of kickball, or riding a bike around the block, being physically active together is a great way to stay fit as a family. Forget about keeping score, and just encourage togetherness and physical development—your child kicking the ball and running the bases properly for the first time is reason to celebrate! Bake. We all love to cook. We enjoy new recipes, and we have fun trying them out together. We’ll look for recipes online to make Chinese or Mexican from scratch (forget about seasoning packets – we make our own! ), and we’ll try out tasty-sounding desserts, modifying the recipes so we can be more creative and make them our own way—then we enjoy tasting the recipes. Band. My husband will pull out his old violin, I’ll sit at the piano, and our daughter will rotate between the two. We rarely practice our instruments, so the music is less than stellar, but our daughter loves every second and thinks we sound amazing, so it’s always fun! Any instruments – even a pot and a couple of spoons to make drums – can be used for this, as long as everyone is involved in some way. Make something. We’ve painted, made pumpkin paper lanterns, created night-lights, and made lip gloss. Making something special that we can keep brings back good memories when we’re using the items! What does your family love to do together? Leave a comment with your Family Night ideas! We recently discussed how to make a bed and take care of clothes. Now we’re going to cover basic cleaning tips and supplies needed. We all grew up in different houses, and so, we all have different concepts of what cleaning is. Some may think even a smidgen of dust is dirty, while others don’t even notice if there’s a layer on every surface. Whatever your preference––or ability to tolerate––it’s nice to have shortcuts for cleaning. Not only will you need to do the general, regular cleaning, there will also be times when certain things will need special attention. Dirty microwave–– Place a microwave-safe dish of water in the microwave with a lemon slice and bring it to a boil. Once the inside is steamy, open and wipe out the inside with a damp cloth. Glass Coffeepot–– Combine a mixture of 1 part vinegar to 2 parts water and pour it in your water reservoir. Turn the coffee maker on and let it run completely through. Turn your coffee maker off and allow it to cool for 15 minutes. Pour the vinegar and water mixture down the drain. (You may need to repeat if your coffee maker has not been cleaned in a while.) Rinse the pot out thoroughly with warm water. Then, fill the water reservoir again with clean water and turn the coffee maker on to start the rinsing process. Repeat this rinse one more time to ensure that all the vinegar mixture has been removed. Garbage Disposal––Smelly disposal? Slice up a lemon into quarters and grind it up in your garbage disposal to freshen the scent and clean the drain. Do not add bleach to a load of laundry after the clothes are already in the tub. Add bleach while the water is running, before clothes are added, so that it can be diluted. Do not add dryer sheets to a load of towels. This affects the absorbency of them. Do not mix bleach and ammonia or toilet cleaner. The fumes this creates can be toxic. Don’t allow dirty dishes to set in the sink or on counters for days on end – at the very least, put them in a sink full of hot, soapy water so the grime doesn’t become stuck or covered with bugs. There are a few things you’ll need when leaving home that will make your housekeeping experience easier. As exhausting as housekeeping may seem, it is doable if you make a routine. Some people choose one room or task to do each day, breaking up the burden of cleaning and keeping house. Others schedule one day a week for “cleaning day,” allowing them to relax concerning housekeeping the other days. Whichever you decide, if you ever have any questions, I’m sure your mom would love to receive a call from you! 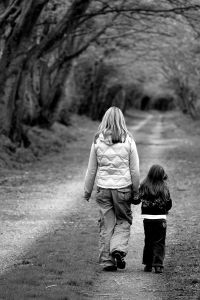 Our mom’s give us plenty of advice as we grow up, especially as we reach adulthood. But how often do we listen to it? When we’re moving out of the house is a great time to seek mom’s wisdom on some of the important things in life––like how to keep a house. You’ve probably grown up hearing those words: make your bed. And while you may have ignored them many times, nothing cleans up a bedroom more than a bed that is made. And this doesn’t mean tossing your dirty laundry on the bed and covering it with the comforter before guests arrive. Visit wikihow.com to learn how to neatly make your bed, hospital corners and all. 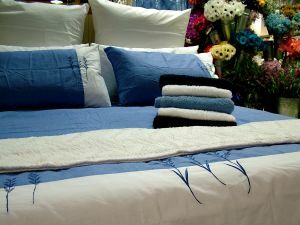 A well-made bed may be aesthetically essential, but a clean set of sheets is hygienically important. 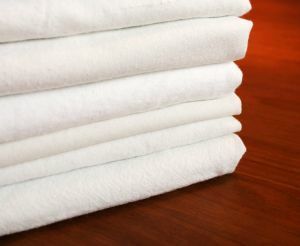 You should get into the habit of changing to a clean set of sheets once a week. Not only will this remove dust mites and dirt, but it will help your sheets last longer too. There are a few basic things you need for your bed. Obviously, first are the sheets. Unless you want to wash and dry your sheets immediately when changing the bed, it’s nice to have two sets––one to put on the bed while the others are being laundered. One important, yet often forgotten item for the bed––which never gets seen––is the mattress pad. Although this may seem like an unnecessary addition, it will keep your mattress (usually an expensive part of your bed set) cleaner and in better condition. And it adds extra softness to your slumber. If you’re like most people, you’ll probably want a pillow––or three. The number is up to you, as is the firmness and thickness. Next comes the blanket, although you may choose to take this off if you tend to get hot in the summer months. And lastly, most people have some sort of comforter or bedspread. The choice is up to you. Some prefer the frilliness of a bedspread; others, the simplicity of a duvet comforter; and others, the uniqueness of a homemade quilt. More than likely, you have at least one thing that will need ironed while living on your own. And while you may never have had to iron at home, now’s the time to take a lesson from Mom. 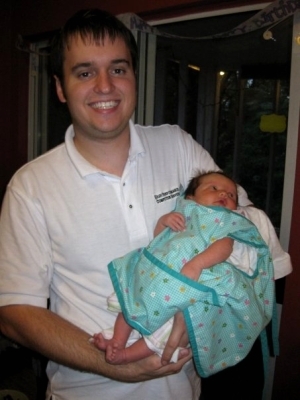 (You can also visit this article on ehow.com to learn about ironing a shirt.) There are several ways to ruin clothes while ironing, so it’s important to know what you’re doing. 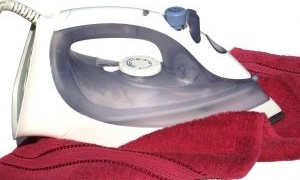 Obviously, leaving the hot iron sitting on your clothes will burn them. But a wrong setting on the iron can also damage your wardrobe. One thing that is often neglected is cleaning your iron. Make sure that you’re not ironing with a dirty soleplate. This grime may transfer onto your clothes. Of course, before you can iron your clothes, they need to be clean. Many people have had to do some bit of laundry before leaving home, so hopefully this will be somewhat familiar to you. If not, here’s a little Laundry 101. Sort your stuff––First start by sorting your laundry by color––whites/lights and darks (reds are also separate). Then sort them further by delicates, towels (which produce lint), lingerie (lingerie bags are great for this), and heavier items such as jeans and sweatshirts. Pretreat stains––If anything is stained or soiled, now is the time to deal with it. Check your clothing carefully for any stains that need to be treated. Once your clothes have been dried, the stains are pretty much set in. Go here for a list of stain removal tips. Load the laundry––Now it’s time to fill the washer with your first load. Put in the laundry detergent while running the water in the machine. Remember to consider what temperature is recommended for your load (check the tags!) and which cycle to set it on (again, the tags!). (Keep in mind there are some clothes (silk, linen, wool) that may need to be dry cleaned.) Do not overload your machine! As proud as you may be to fit all 3 weeks’ worth of laundry into one load, it will not be clean when it comes out. There needs to be room for your clothes to agitate (move around) during the wash cycle. 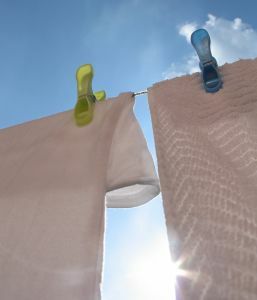 Drying time––When your load is done washing, it’s time to dry. There are some items that may need to be kept out while drying, such as bras and other delicates. Note what setting the dryer needs to be on for your load. Time to fold––All your hard work will be lost if you leave your clean laundry in a pile on the floor for the next week. As tiresome as it may seem after your day with the washer and dryer, you need to fold your laundry and put it away. If it needs ironed, iron it as soon as possible so you’re not having to iron a wrinkly dress 10 minutes before you need to leave for work. Later, we’ll discuss basic clean-up and supplies needed, so check back soon! We recently discussed dining and credit cards, and today we’ll continue with financially savvy tips about shopping and scholarships. I used to hate shopping at thrift stores like Goodwill. I liked going to a store and finding the style shirt I wanted and quickly locating my size on the nice, clutter-free rack. But then I realized how great––and inexpensive––my thrift-store finds could be. I can almost always find great name-brand clothing in like-new condition for $4 or less. Do you realize how many outfits I could come up with for the amount I’d spend on one pair of pants at the actual store? And no one can tell the difference. I recently bought a $60+ pair of Gap pants for $2 at Goodwill. Lots of compliments––especially when I tell people how little I paid for them. There are scholarships out there for everything. Sports, academics, ethnicity, hobbies, interests, accomplishments…the list could go on and on. And with the Internet, these scholarships are very easy to find. Unfortunately, many of them are never given away because no one applies for them. Scholarships are one of the best ways to help pay for college. There are thousands available. I recommend looking for legitimate scholarships online and applying to as many as possible. Most will require an essay––or several––but the time spent writing one could really pay off. Even if you only receive a handful of scholarships from the dozens you apply for, that is money that you won’t have to pay yourself. And if you’re not starting college until next year, this is the perfect time to start looking for scholarships. Don’t wait until the last minute (although, if you have, don’t let that stop you!). Record the deadline for each scholarship, and mark them in your favorites on your computer. You don’t have to be a freshman to get a scholarship, so even if you’ve already finished some school, keep applying to make the rest of your time at college financially easier. Although school is costing much more now than ever, there are plenty of ways to cut the costs of college. Start now by being responsible with your money––the money God has given you. Be creative and thoughtful with your spending, and hopefully you will leave college in a few years more financially fit than when you started. Have any tips for saving money or frugal spending while in college? Leave a comment and let us know! With the excitement of starting college comes the not-so-exciting thought of…paying for it. Especially in this hard economic time, many families are wondering how they’re going to pay for college this year. Some are having to forego the private, Christian colleges for a more local, public school. Although I hope you are financially able to attend your first choice, whether public or private, there are still ways to watch your spending habits while at college. Here are some helpful financial tips that can used whether you’re living at home or moving away. 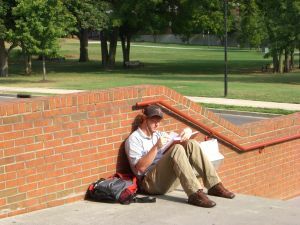 Many colleges offer a food plan. Often there are several from which to choose. You may opt for a certain number of meals a week allotment, or you may choose to place a certain amount of money on a cafeteria card from which you can purchase meals. If you’re living on campus, this is probably the most frugal way to eat. However, if you want to cook, and have a kitchen available for all meals, that can certainly be a much cheaper option. The main thing to remember is that if you––or your parents––purchase a meal plan, use it! These often expire at the end of a semester. Many times you’ll find yourself wanting to dine out with friends, thus not spending the money you already designated for meals, and spending money at a restaurant that could go toward other expenses. If you want to leave money for eating out with friends, make sure you don’t get the largest meal plan offered––it will only go to waste. College is the time for hanging out with friends, and for me, this occasionally included coffee (go for the decaf!). However, all these little trips to the local coffee shop can really start to add up. So if you really want to spend time together, and it means coffee shops, do without the coffee every time and get water with lemon slices instead. You’ll still get to enjoy the company of friends, but without spending the money. I love coupons. And there are tons out there. 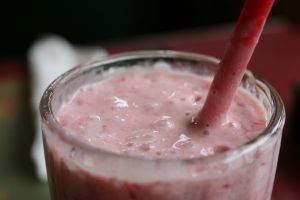 Check out websites like hotcouponworld.com for coupons to restaurants and other deals. If you find yourself eating out a lot with friends, a buy-one-get-one-free coupon at your most frequented restaurant can really help out. Also, don’t hesitate to ask the waiter or cashier if they have any current coupons available for use. Even fast-food places may have a stack under the register––even if it’s just for a free drink with your sandwich. Every little bit helps! When I started college, my parents gave me a credit card to purchase my textbooks and supplies, and for emergencies. However, I quickly found that having the must-have jeans that everyone was wearing was an “emergency.” And so, they went on the card. As well as the boots that my friend said looked so great on me. And soon, I was encountering “emergencies” on a weekly basis. It was easy to get carried away when I didn’t have to pay for the stuff. Although I don’t use credit cards now, I won’t make this into a time to tell you to cut up all credit cards and use cash only. I will say that if you have credit cards, you need to be responsible with them. I know this is what your parents are probably telling you, but it’s very easy to get caught up in the excitement and newness of college and start thinking that everything is a must-have item. It may help to leave your credit card in a safe, hidden place in your room––it’ll be more difficult to have a sudden jeans emergency at the mall when your card isn’t in your purse. 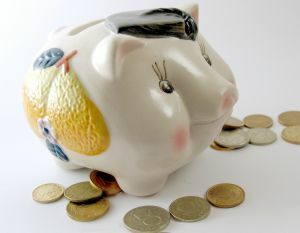 We’ll continue later with more financially savvy tips, so check back soon! It’s summertime, and that means vacation time! However, many families may either be too busy to take a full vacation away from home, or they are not financially able to do so this year. So, why not recommend a family staycation this summer! In case you’re not familiar with one, a staycation is a fairly new term for a vacation that’s done at home. Many families are now choosing to stay home––or close to home––rather than taking big, extended trips out of town. Planning a staycation can be a lot of fun, and fairly simple. First, come up with a budget and date. You may choose to spend a solid weekend for your staycation, or spread it out over a week or two. Or, if your parents can’t take time off work, plan on doing a different, and simple, activity each night when everyone is home. That’s the great thing about it––it’s totally flexible. Next, discuss with your family what you’d all like to do. You may choose to do one big thing that you’d all enjoy, such as a camping trip to a nearby state park. Or, you could decide on a time frame and let each person choose an activity he or she would like the family to do together (keeping the budget in mind). Below are some fun family staycation ideas, but be creative and come up with some of your own also! No state or local park nearby? Camp out in your own backyard! One benefit? You have your own bathrooms. Grab your camping gear and head out to the great outdoors. Pitch a tent together, make a fire (just check with your local fire codes first), and roast some hotdogs for dinner. Then spend the evening playing cards or talking and looking at the stars. If you don’t have the yard for a campout, pull out some sleeping bags and camp out in your family room. Just the variation alone will make it a special time. 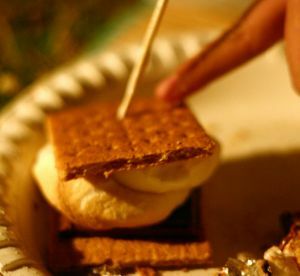 And don’t forget the s’mores! The zoo is an easy idea that the entire family can enjoy. Pack your own snacks and lunches to save money, and head out to see some of the amazing animals that God created. Or try out an aquarium if you live near one. 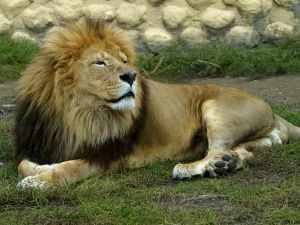 Some great zoos around the country (if you live within driving distance) are the San Diego Zoo, the Columbus Zoo, the Cincinnati Zoo, the Memphis Zoo, and the St. Louis Zoo. If you live near a river (and have an adventurous family), you may have the exciting option of spending a day on the water. 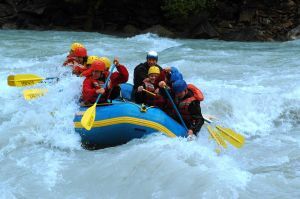 Check your area for whitewater rafting or canoeing guides and availability. Bring a picnic lunch (use waterproof packaging!) and spend the day with your family braving the rapids. Many cities have a great selection of museums and science and art centers. If someone in your family enjoys science, history, or art, he or she may choose for the family to spend an afternoon touring a museum or historical site. Bring a lunch to eat nearby at a local park, or find a new, fun restaurant you haven’t tried yet. If your family lives near an amusement park, this might be the staycation idea for you! Get there early (and on a weekday, if possible) to beat some of the crowds, and bring your own snacks and lunches, since park prices are usually very high. Remember to consider younger siblings who may not be old enough or tall enough to ride some of the rides. Research your amusement park to find activities the entire family can enjoy. A great staycation doesn’t mean you have to even leave your house. One person in your family may opt for the enjoyable idea of some time spent at home with the family, doing something you’re all often too busy to do. Have a pizza and movie night, or cookout and make some homemade ice cream to kick off the start of summer. (No ice cream maker? Check out this super-easy recipe.) Pull out a fun family game, or set up the croquet set or volleyball net. Enough ideas! It’s your turn. God has given us our families (Ephesians 3:14-15), so let’s take the time to appreciate them and have fun with them! Get your family together and discuss some fun options for this latest trend––the family staycation. I’ve given you just a few suggestions, but every family is different. Come up with some unique and creative ideas that your family can enjoy, close to home and much cheaper than the typical family retreat. And don’t forget to take pictures! “I’m becoming my mother!” is often an exclamation a woman can be heard saying at a point in her life where she stops everything and realizes, well, that she is a lot like her mother! I’ve heard it said with a shock and sometimes with a sigh, but as I say it now, I say it with a smile! My mother is the best woman I know, and seeing now that I mirror her in even only a few ways, without even noticing it, is a blessing in disguise. As you can see in the photo, Mama can be silly sometimes! This is one of my favorite things about her! She might get confused as I’m telling a story, start giggling, and end up asking me to start over, or she might make a funny face at me in the mall, but I love that she can be silly, and still be classy. Never have I seen my mother be wild or inappropriate; she knows how to have a laughter-filled time while keeping a perfect level of respect for herself. Although we see many women today get the attitude, “I’m Super-Woman; I don’t need anybody and I can get where I want to be all by myself,” I love that my mother doesn’t think like that. She is the perfect example to me of the virtuous woman described in Proverbs 31:10–31. Mama is submissive to my father, who is the good Christian leader of our household. She makes food for the family, cares for each of us, loves each of us, but even more amazingly, she is the same way to everyone else. I’ve never met a woman who is more caring and sympathetic to those in need. She never brags about the things she does, or makes a point to tell anyone; she just does these things because she wants to be the kind of Christian woman God wants! She bakes bread, cookies, or meals for the sick, widowed, or lonely. She makes cards and sends them to anyone who may need a smile. She will listen to those who just need someone to talk to––and she truly listens! With all these things she does, she remains more humble than you could ever imagine. I am confident that God is very pleased with her, and will continue to do good works through her! I often think of how wonderful my mother is, and how often I fail to tell her that, or show her how thankful I am. I think back on times when I have failed to be the Christian daughter and young woman God wanted of me. But one thing I know is that only God could have created such a beautiful inside-out, tender-hearted person, and blessed me enough to make her my mother. I could never imagine a day without hearing her voice, asking her advice, or just hugging her. 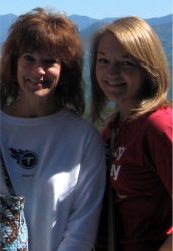 God is incomprehensibly generous and kind to allow me to have a mother like her. I love you, Mama, and I hope and pray that I become more like you every day that God keeps me on this earth. Please leave a comment below letting us know what you love about the mother, or mother-like figure, in your life. One simple way to care for what we’ve been given is to recycle. Some of you may already participate in a recycling program, but if not, this is a great month to start. Talk to you parents about your idea to recycle. You can start out very simply, recycling aluminum cans, paper (including newspaper), and plastic. Start by locating a place in your home where you can place several bins for recycling (as many bins as there are different categories you want to recycle). 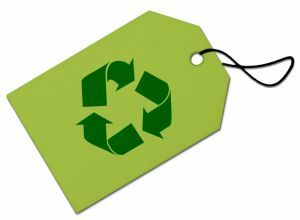 Bins can be bought at home improvement stores, or you can use simple trash cans and label them. Try to find a place that is easily accessible, such as a garage, pantry, or laundry room. 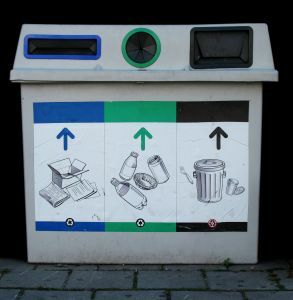 For ease of use, make the bins different colors and label them clearly (a picture also helps younger children identify in which bin to put things). Now it’s time to start recycling! 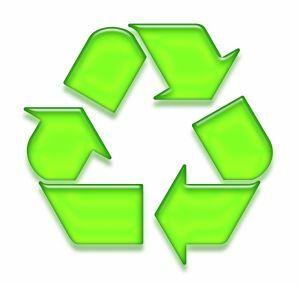 The main thing to remember is that not everything is recyclable, and that some things must be recycled properly. Below are some helpful tips; more can be found online. 1.Almost all paper can be recycled, but some types are harder to recycle than others. Paper coated with plastic, is waxy, or has glue or gummy residue on it is generally not recycled because the process is too expensive. Gift wrap is not recycled since it is already poor quality. This does not mean, however, that you can’t recycle wrapping paper in good condition by using it again to wrap another gift! 2.Remove the glossy inserts/advertisements from newspapers before recycling; they are made from a different type of paper and are not processed because of their coating. 3. Clean out aluminum cans with water before tossing them in the recycling bin. Fun Fact: Recycling one aluminum can saves enough energy to run a television for 3 hours! 4. Do not crumple up paper. This is not necessary and takes up more space in the bin. 5. Do not throw out or recycle important documents. Shred any papers that have personal information and/or passwords/ID information on them; then toss. 6.Although labels do not need to be removed from plastic bottles to make them recyclable, lids are often made from a different kind of (non-recyclable) plastic and should be removed. Plastic is often numbered with identification numbers 1–7, telling which kind of plastic it is. Visit obviously.com for more details on which numbers are recyclable. 7.If you are going to recycle glass, make sure that it is somewhere that children cannot get to it, since it could easily break when tossing. Fun Fact: Glass can be recycled indefinitely since its structure doesn’t deteriorate when reprocessed. Once your bins are full, it’s time to take them to a local recycling center. Visit the Recycling Center to find one in your area. Make sure that all recyclables are organized; even one or two wrong items in a bin could send it all straight to the trash. 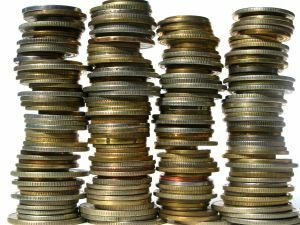 You may be able to make a little money from some of your recyclables, so check with your center before dropping it off. You can save up your money for a fun family night or to buy something you all want. As mentioned before, reuse wrapping paper and gift bags that are still in good condition. Cut up old cards to use as gift tags. Use plastic shopping bags for various projects around the house. These can be invaluable––don’t just toss them! If nothing else, see if your local grocery store accepts their bags back. Use scrap paper for kids’ art projects. Keep a box of odds and ends handy for craft and science fair projects. Print unimportant things on both sides of computer printing paper. Refill ink cartridges, or exchange your old ones for a new one. Many places will give a discount for trade-ins. Invest in (or find around the house) a good tote bag that can be used for library and grocery trips, or to carry things with you in the car. This will eliminate the constant use of plastic bags. We are responsible for taking care of our planet, and recycling is just one easy way in which we can get our families involved. It’s never too late to start helping out, and it’s always a great idea to have a project that the entire family can take part in. So gather your family, grab some bins, and get busy caring for God’s beautiful creation! Remember that God has a different plan for everyone. If you have siblings, chances are you have experienced some sibling rivalry at some point in your life. This is often even truer when you have a sibling of the same gender, or one who is very close in age. 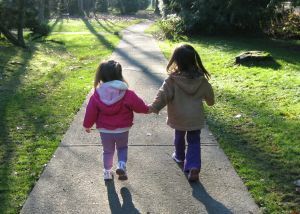 It’s unlikely that you can grow up with a sibling without someone comparing you to one another at some point. But God does not compare you with others: “But each man has his own gift from God; one has this gift, another has that” (1 Corinthians 7:7). If we’re competing with our siblings, instead of encouraging them, we are allowing ourselves to miss out on a blessing from God. God doesn’t plan for everyone to go to the same college, marry at the same age, or excel at the same activities. It’s okay if you play the piano and your sister is the star of her soccer team. It’s also okay if an older sibling marries at twenty, but you feel that you should wait until you’re older than that. Or, maybe a sibling is attending a private university somewhere, but you want to go to a community college and live at home. That’s okay! Rejoice with your siblings for their successes and happiness, and you’ll be more likely to have a better relationship with them because of it. Pray that God will reveal to you His plan for you––and listen! Unfortunately, we are often so focused on others’ talents and lives that we ignore God’s voice speaking to us about our own. And not only is this the case in our physical families but also in our spiritual families. How often have we been consumed with jealousy that a sister in Christ seems to have everything going for her? Or bitter that a brother in Christ got the scholarship we wanted? We need to pray that God will work on our hearts to help us refocus. When we are focused on others, or on ourselves, we are not focused on Him. There are so many ways our Father desires to bless His children, but we must be focused on Him or else we will miss the opportunities he has in store for us. We should be rejoicing with others, knowing that God has His own very special and unique plan for their lives as well as ours! When asked, many of us would be quick to say that we love our families. But how often do we actually show that love? Do we spend more time yelling at our younger sister to get out of our room, or do we invite her in to listen to her tell about her day? Do we get irritated when our mom asks us to help with the dishes, or do we do them without being prompted, knowing that she has busily been taking care of other’s needs all day? As hard––and sometimes inconvenient––as it may seem, it’s time to start showing and sharing our love with our family, rather than just affirming it when others ask. Now comes the fun part. After the family has designated a day, begin thinking of several things you can do for the family member whose name you drew. If you have a younger sibling, help them come up with some ideas. Some of these deeds may be done in secret, or they may obviously give away the identity of the “secret admirer.” Choose to play that game you’ve been putting off with your little brother. Fold some laundry or sweep the kitchen for Mom. Secretly place a note in your dad’s lunch, or, if it’s nice out, wash the car. Spend your day doing things for the other person. There are always ways to show your love and appreciation for your family, whether it’s a creative plan or a simple gesture. Don’t limit yourself to this month. Even if you are the only one in your family who continues to do this, choose a day each month to serve––and demonstrate love for––your family. Ephesians 6:7: “Serve wholeheartedly, as if you were serving the Lord, not men.” Their pleasure at these constant surprises will be worth more than all the free time you might want to spend on yourself.